If you thought you loved Frosty Boy Ice Cream, Pizza, Subs and More before, just wait until you try the new menu at our fresh local restaurant in Kalamazoo, MI. We've revamped our menu and our process to provide you with better, fresher food. Trust us-your taste buds are in for a treat. We're open daily for lunch, dinner and dessert. Stop by today to check out the improved menu at our fresh local restaurant. Find directions to our diner. Check out what people are saying about our fresh local restaurant. Your stomach deserves quality food. Don't settle for greasy food from your local fast-food restaurant-treat yourself to a meal at our fresh local restaurant in Kalamazoo, MI. All of the dough for our pizzas is made fresh daily, and we only use the best ingredients in the meals we prepare. Why? We want you to taste what makes us different than other restaurants in the area. Frosty Boy Ice Cream, Pizza, Subs and More isn't your traditional ice cream shop in Kalamazoo, MI. Sure, we have one of the largest selections of soft-serve ice cream in the area-along with hand-dipped cones, shakes and sundaes-but we offer more than just sweet treats. Don't miss out on the food and fun at Frosty Boy Ice Cream, Pizza, Subs and More. Contact us today to learn about the food on the menu at our ice cream shop. 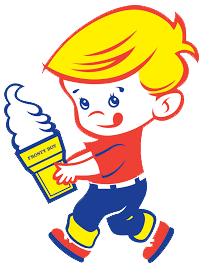 Copyright © 2019 Frosty Boy Ice Cream, Pizza, Subs and More, all rights reserved.